Would you like to have a new smile that’s as beautiful as a day in Spring? An attractive smile is appealing to other people, but more important is what it can do for you on the inside. Just knowing that people admire your smile can make all the difference in your self-confidence. So, don’t wait. Schedule a consultation now with a cosmetic dentist in Clinton Township so you can spring into Spring! There are many teeth whitening products sold in stores. But the fact is none can compete with the results you’ll see when you have your teeth professionally whitened in the dentist’s office. 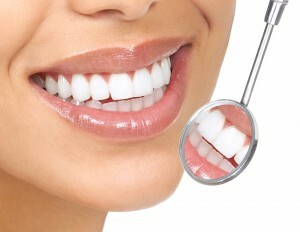 This treatment uses whitening solution that is more powerful, so it reaches stains that are below the enamel surface. One session takes about an hour, so if you schedule an appointment now, you’ll have a brighter smile before 2019 even rolls around! If you have teeth that aren’t only stained but also have some structural damage—chips, cracks or fractures—then porcelain veneers can hide those and give you a brand new smile. Veneers can also close spaces and straighten misaligned teeth. They are made of strong and natural looking dental porcelain. With proper oral hygiene, dental checkups and few precautions—don’t bite anything hard—your porcelain veneers can last 10 years or more. If you should have worn braces as a teenager but didn’t, then please don’t think the opportunity is gone now that you’re an adult. Today, there are almost as many grown-ups wearing braces as there are kids. Sometimes, adult braces are difficult to detect because they are Invisalign clear braces. This orthodontic treatment uses clear aligners to move teeth into proper position. A straight smile is a wonderful gift to give yourself this holiday season that will pay off for years to come. Would you like to start a real transformation for the New Year? Then, consider a smile makeover in Clinton Township. This service combines several cosmetic dentistry treatments to create a brand new smile. The dentist develops a plan so that each treatment builds on the previous. At the end, you are rewarded with a smile that is white, straight and well shaped. Are you ready to smile at the New Year? Then, contact a cosmetic dentist today to learn more about the services that can take your smile from drab to fab! Dr. Mindy Salzberg-Siegel is a family and cosmetic dentist. She has been creating beautiful smiles with cosmetic dentistry in Clinton Township for many years and she can do the same for you! Contact the office today.